Clinic Synopsis: Bach or Bieber? Holst or Hammer (M.C.)? Themes from Basie, or from Bond (James)? It's the perennial challenge for every conductor, performer, music educator, and/or arts organization; how to engage audiences, students, and/or parents with music that is not immediately familiar. This clinic encourages the performance of the highest quality "art" music (with specific repertoire suggestions for Bands of every level), and demonstrates creative ideas for engaging audiences in concert presentations. Clinician Biographical Information Through 25 years as professional conductor, concert host, producer, performer, and teaching artist, Dr. Richard Wyman has enjoyed connecting people with music in creative and innovative ways. 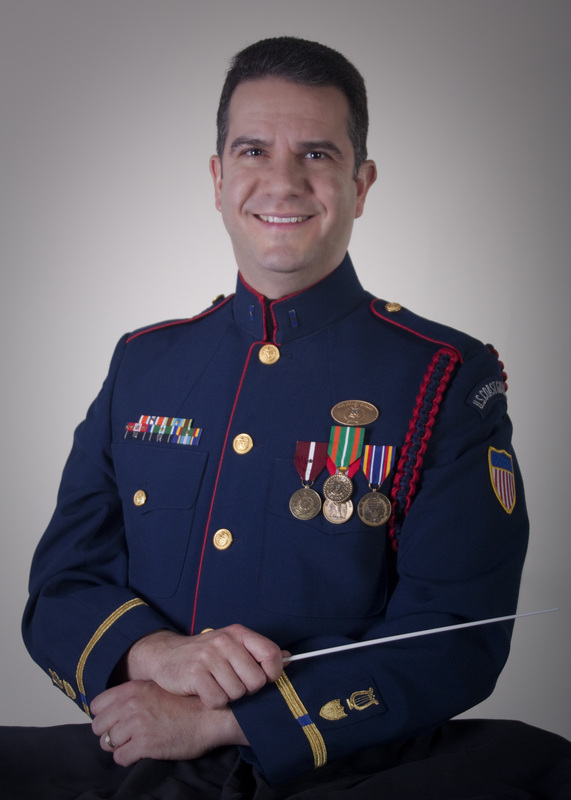 He has developed, hosted, and/or conducted over 400 concerts as Assistant Director of the U.S. Coast Guard Band, including acclaimed “Young People’s Concerts” for 6000 students annually. He founded and oversees a CG Band program that presents interactive chamber music assembly programs throughout CT, reaching 50,000 elementary students since 2000, and he has produced eight CG Band CDs and two White House “Pageant of Peace” PBS specials. In the 1990’s he worked at the forefront of the “teaching artist” movement, as his saxophone quartet developed large communities of music lovers in Moultrie, GA and Paintsville, KY, through year-long National Endowment for the Arts rural residency grants; resulting in a feature story on National Public Radio’s Morning Edition, and four White House performance visits. Wyman has done extensive scholarly work on American composer John Adams, published on John Williams in Volume 10 of Teaching Music Through Performance in Band, and maintains memberships in the Conductors Guild, ACDA, WASBE, and CBDNA. He earned a DMA in Conducting from the University of Connecticut, MM from the University of Illinois, and BM from the Eastman School of Music. Primary conducting teachers have been Jeffrey Renshaw and Frank Battisti.